Last month Blizzard launched World of Warcraft: Battle for Azeroth, and now they’ve just dropped a whole mess of new Season 1 content to keep people engaged in the expansion. These additions include the first Battle for Azeroth raid, Uldir, the much-anticipated Warfront co-op battles, Mythic Keystone dungeons Season 1, and more! Scroll on down for more details. First up, here’s the rundown on Warfronts, Battle for Azeroth’s new tactical co-op PvE experience. Check out a video explainer and description, below. Anchored in the real-time strategy (RTS) origins of Warcraft, you play the role of a lieutenant leading the charge on the ground of a massive battle. Together with 19 fellow allied players, you will create an outpost, secure resources, set up supply lines, and train troops to help push forward and assault an enemy stronghold. 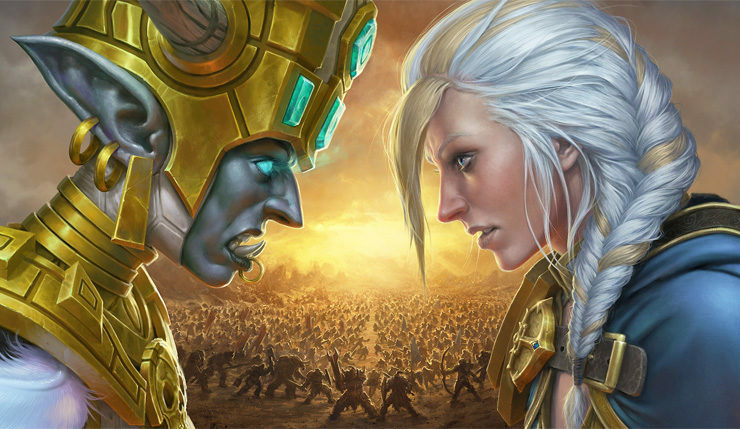 Unlike Warcraft III, you’ll be fighting in this conflict firsthand rather than commanding from a top-down perspective—putting you on the front lines of a large-scale, 20-player PvE experience. Once your faction controls the Stromgarde Warfront, you’ll be able to reap the rewards: access to a variety of new outdoor content for your faction in the nearby Arathi Highlands zone. T’zane (Nazmir) – Animated by the powerful voodoo of the nearby Necropolis, Tzane stalks the swamps of Nazmir in search of more souls to consume. Ji’arak (Zuldazar) – This mighty pterrodax has a roost high up in the mountains of Zuldazar, where the air is too thin for most lungs to draw breath, and life struggles to take hold. Occassionally she descends upon the swamps below in search of heartier meals to bring back to her brood. Hailstone Construct (Drustvar) – Built by the original inhabitatns of Drustvar, the Hailstone Construct was built to defend these lands from any invaders. However, years of dormancy have left it addled, and it now sees all residents as threats, vowing to destroy them all. Azurethos, The Winged Typhoon (Kul Tiras) – Azurethos, the terror of the Kul Tiran seas, marshals the power of wind to force enemies out of its roost, cause waterspouts, and capsize ships. He has earned his reputation as one of the deadliest beasts in Kul Tiras. The Infested affix reflects the extent of the corruption of the blood god G’huun as it seeps out into Azeroth to infect select denizens of each dungeon. With each new season, we’ll be changing out this third affix to keep players on their toes. 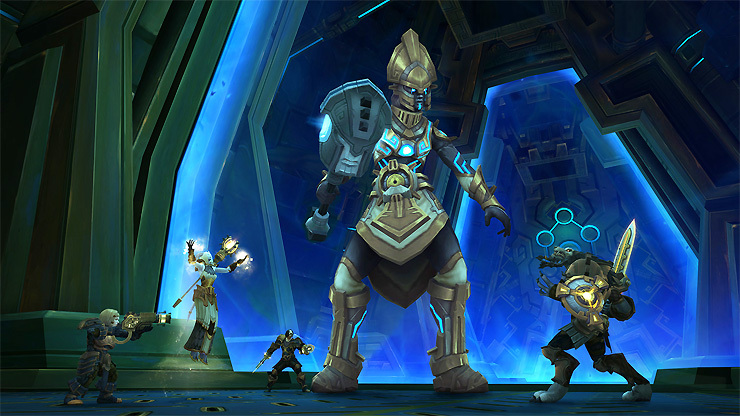 Who will make it to the top of the Mythic Keystone Dungeon Leaderboards? PvP Tier are as follows – Unranked (0-1399), Combatant (1400-1599), Challenger (1600-1799), Rival (1800-2099), Duelist (2100-2399), Gladiator (2400+). 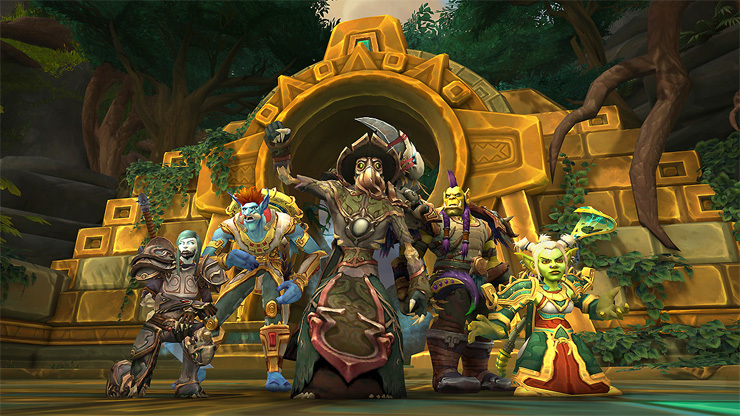 Unfortunately, PvP Season 1 had to be disabled shortly after it went live, due to a glitch that gave some players high-level Mythic+ gear too early, creating an unlevel playing field. Blizzard is working to remove all the erroneously awarded gear and, presumably, PvP will be back soon. So yeah, phew! A lot of new stuff! Any WoWheads out there? Have you been enjoying Battle for Azeroth so far? Will you be taking a convenient sick day for this new stuff? World of Warcraft: Battle for Azeroth Season 1 is available, right now.